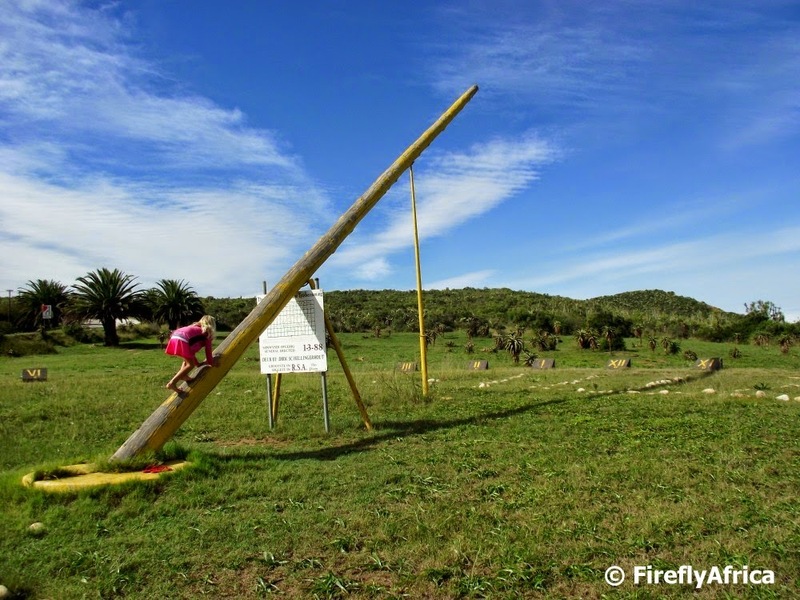 Just outside the town of Hankey in the Gamtoos Valley visitors will find the biggest sundial in the Southern Hemisphere. Kids will always be kids and the monkey comes out of them when they see something they can climb. It was no different when Drama Princess decided to see how far she could go up the Hankey Sundial. The sundial was built by local farmer Mr Dirk Schellingerhout in 1989 to commemorate the town's 160th anniversary. It is located at the entrance to the town and just below Vergaderingskop, the final resting place of Saartjie Baartman. The Hankey Sundial has a diameter of 34.6m and the gnomon is 18m high, and weighs one ton. 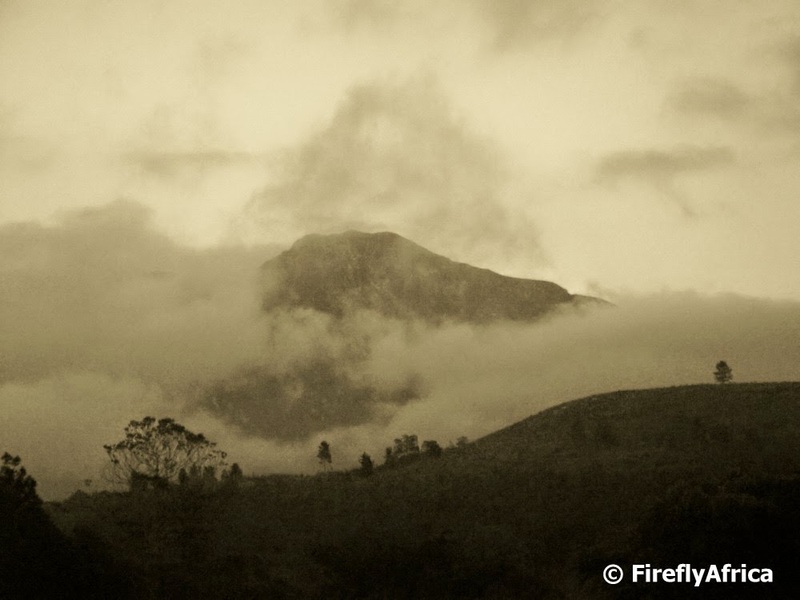 Early morning mist on the Outeniqua Mountains. The first thing I saw when I came out of my log cabin at Eight Bells Mountain Inn outside Mossel Bay. 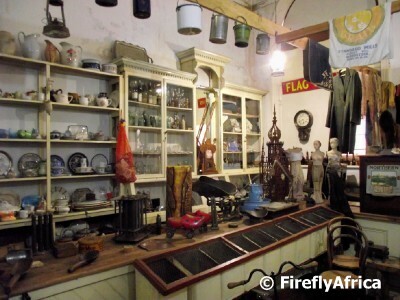 The CP Nel Museum in Oudtshoorn is one of the top town museums in South Africa with a fantastic range of exhibits representing the history of the town and surrounding area. 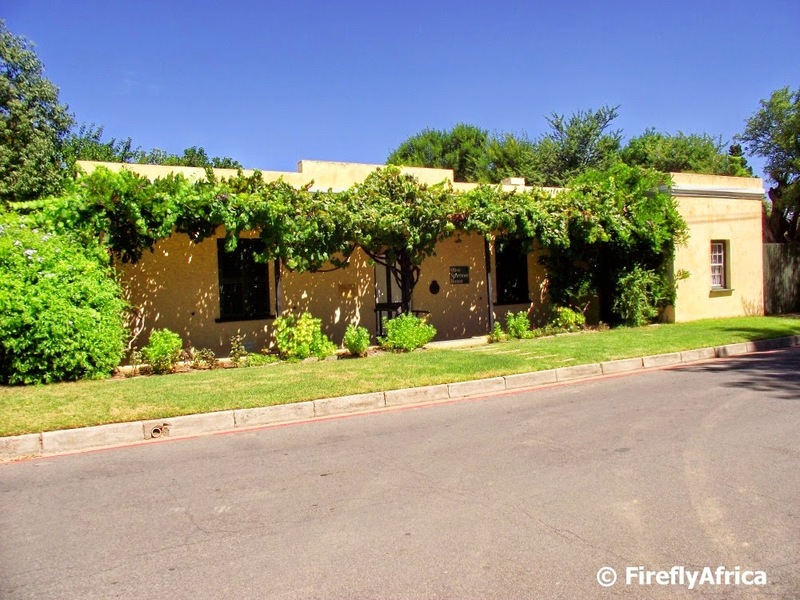 Most visitors pass through town on their way to the ostrich farms or Cango Caves and never see this Klein Karoo gem, but the few who do stop gets to learn so much more about the area. The museum owes its origin to the private collection of colonel Charles Paul Leonard Nel, successful local businessman and collector of antiquities. He's collection was so valuable that by 1938 it had received full recognition from the Historical Monument Commission. When he passed away in 1950 the newly constituted Board of Trustees took over administration of the collection. In 1972 the C.P. Nel collection was brought to its present home, the C.P. Nel Museum on Baron van Rheede Street. 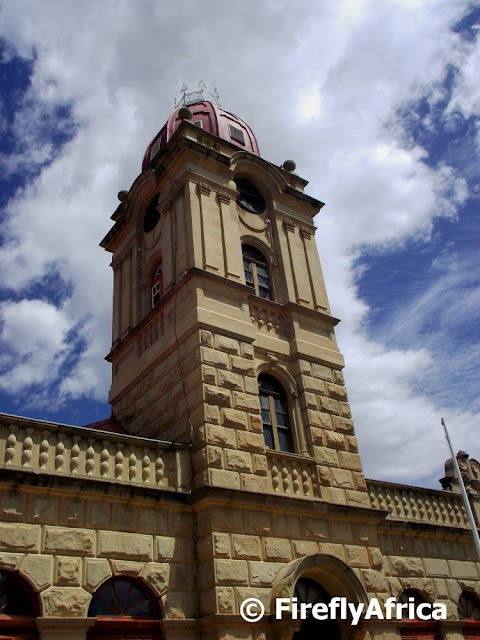 The sandstone building with its prominent clock tower was designed by Charles Bullock and erected in 1906 during the so-called second "ostrich feather boom". Before the museum took it over it used to be the Oudtshoorn Boy's High School and taking it over saved the building from demolition. In the main hall the cultural and natural historic aspects of the ostrich are depicted. The exhibit takes visitors back to the ancient history of the ostrich where it was first discovered ten thousand years ago, carved into rock in the Sahara desert. The ostrich is known as the biggest bird in the world, but is unfortunately unable to fly because of its weight. It can run sixty to seventy km/h and weighs between ninety and a hundred kilograms. The collection includes a big variety of feathers and feather products, something that played a big roll in the early boom of Oudtshoorn. 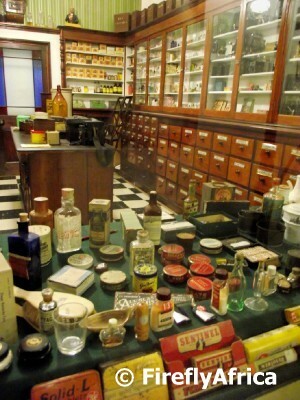 As you walk through the museum you encounter a street scene that includes an unique chemist as it was known in 1895. The pharmacist himself mainly produced medicine making use of a Pill Machine, described as a pill roller and cutter. The CP Nel Museum also boasts the only Synagogue to be situated in a museum with an Ark that is one of the tallest in South Africa. 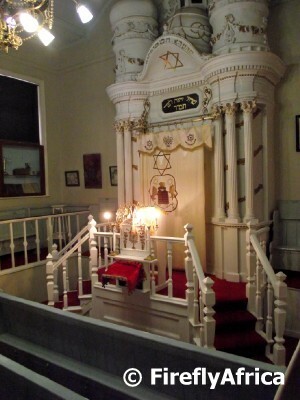 What makes the Synagogue so amazing is the fact that it's still being used. For those who appreciate the finer things in life, the museum's collection of porcelain and glass will make a statement. The original designs of Willow-Pattern crockery (1850), Cranberry crockery (1880) and Earthenware, originating in Tzechoslovakai (1918) surely enjoy the attention of most tourists. 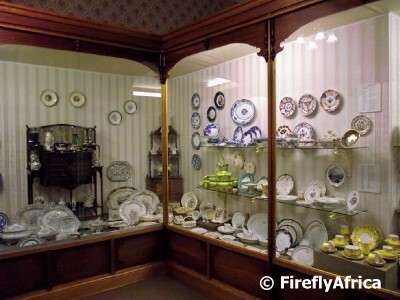 Even though there are so much more to see in the museum which also includes a natural history side, the last display I want to show is one of a typical 1911 sales store. Older folks would remember stores like this with the kids of today having never seen anything like it. 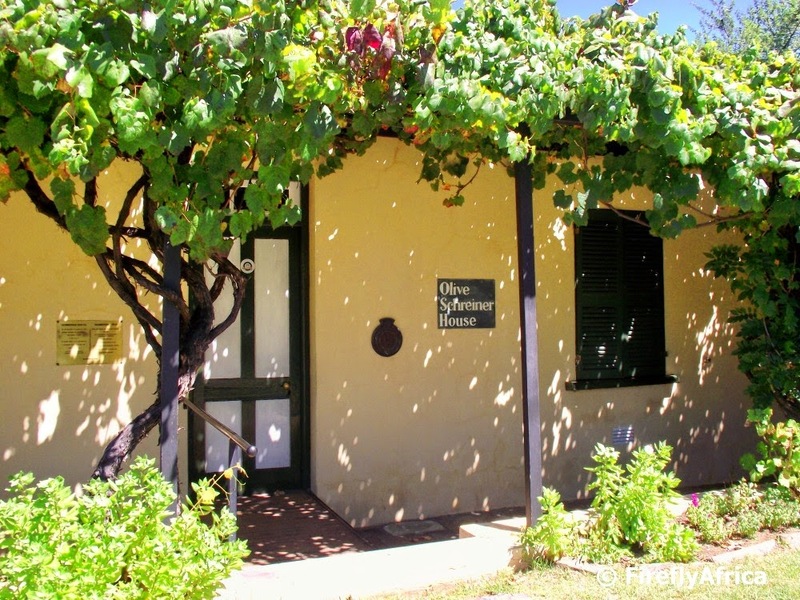 So next time you pass through Oudtshoorn for any reason, make sure you at least pop into the museum for a look at the town's fascinating past. 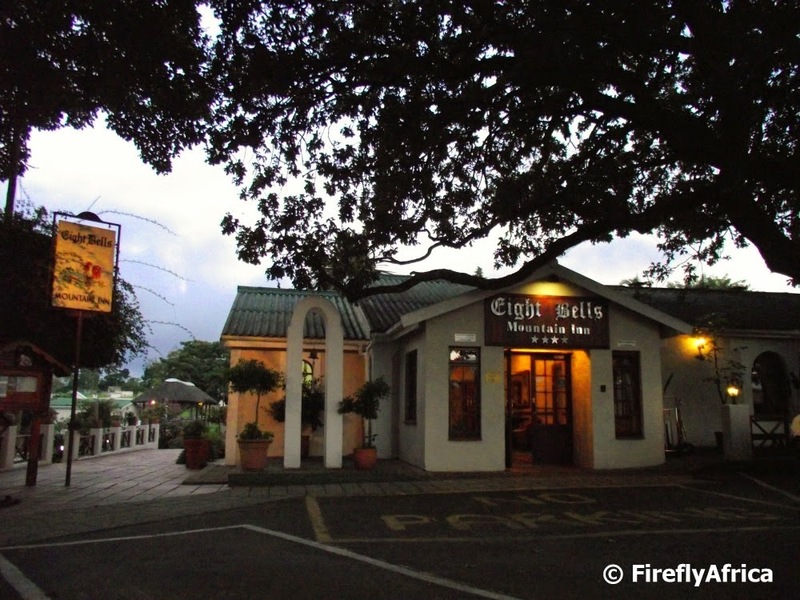 Eight Bells Mountain Inn used to be one of my regular stops on tour back when I was a tourist guide but since then I haven't had a chance to visit. Until a few weeks ago. 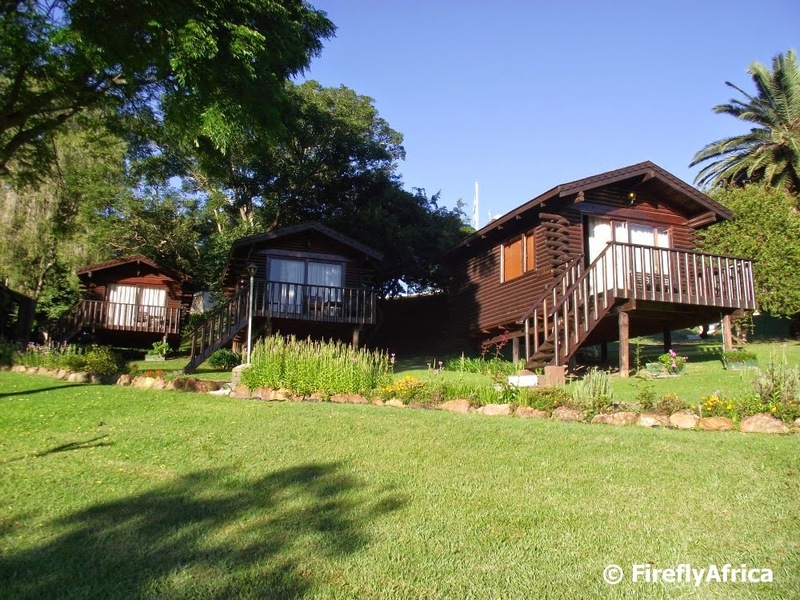 A return trip from Cape Town to Port Elizabeth meant that I had to stay over in Mossel Bay to be able to do some business on the Garden Route and Rene' Bongers, MD of Eight Bells heard that I was heading that way and invited me to come and spend the night. 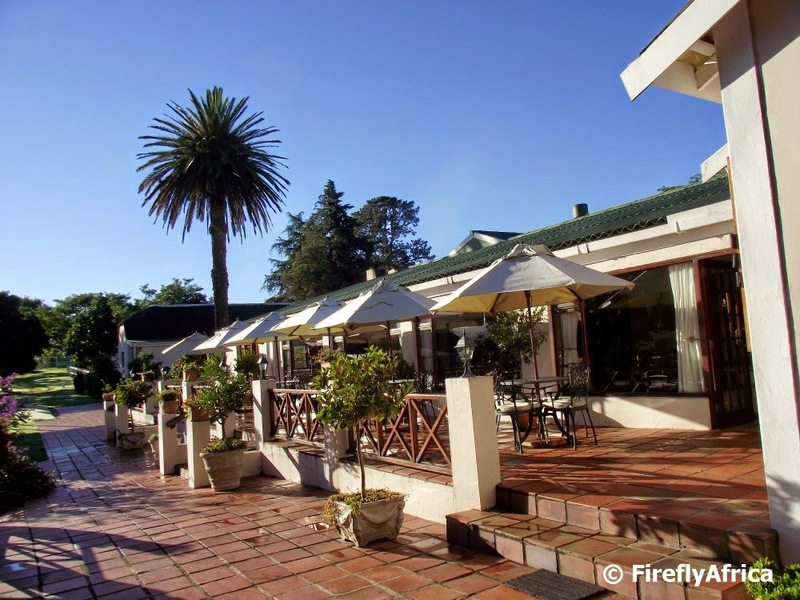 Eight Bells started out as a holiday farm 80 odd years ago and has developed over the years to become a full service hotel with 25 en-suite bathrooms. 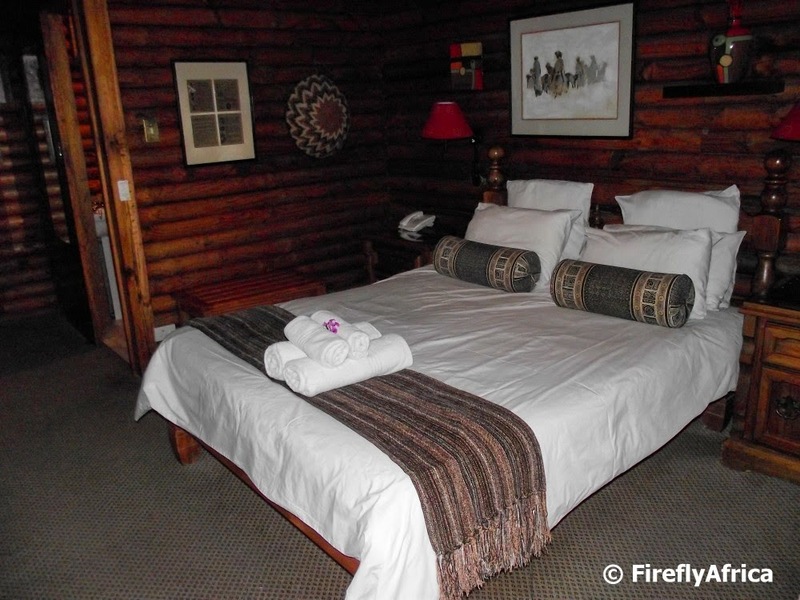 I was lucky enough to stay in one of their log cabins which is only a short walk from the main building. The log cabins are great accommodation and feels a bit more private than being inside a hotel so ideal for honeymoon couples - which I clearly wasn't being on my own on this trip. But I wasn't complaining. As I mentioned, Eight Bells is a full service hotel so I decided to have dinner in the Oakroom Restaurant, the hotel's in-house restaurant. I noticed a tour group having pre-dinner drinks in the lounge area so I made sure I was in the restaurant before them. What amazed me most during my stay was that I recognized the two ladies working there from when I used to stay and that is a good 10 years ago. Just shows that the staff is like family. The food was just as good as I remembered as well with the ostrich bobotie my meal of choice this time around. Waking up early the next morning this was the view waiting for me outside my cabin. 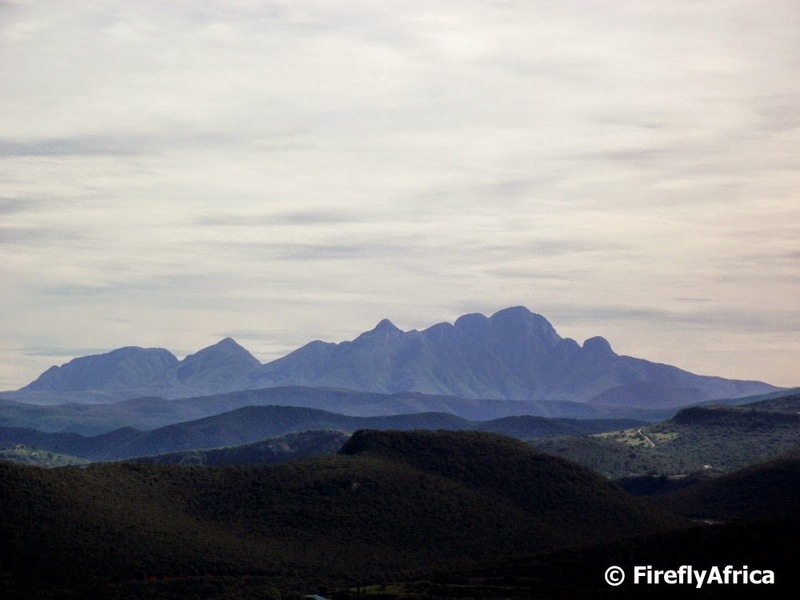 The Outeniqua Mountains in their full glory. Its been a while since I've crossed from here over to Oudtshoorn on the Robertson Pass but as I'm heading to the Garden Route it may have to wait a bit longer for my next trip over. 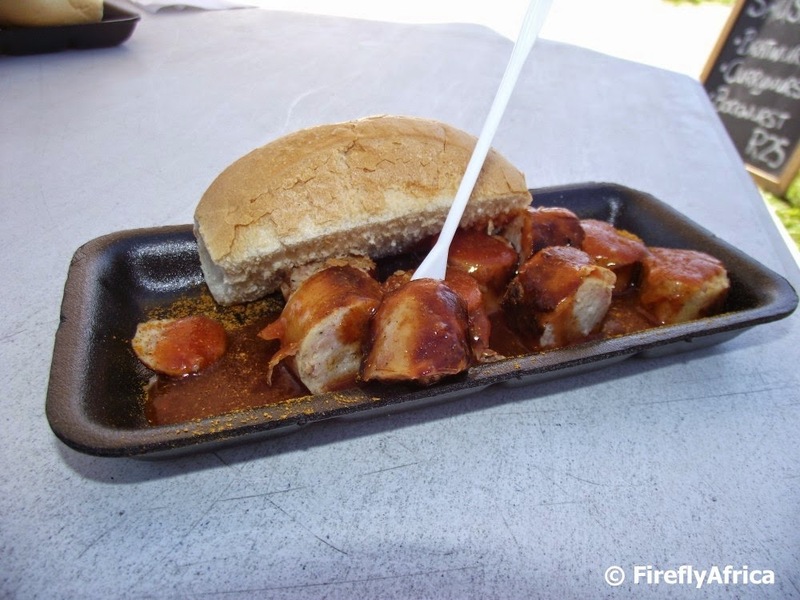 Everybody has their preferred road trip food and drink stops. Some like to pull over at a Wimpy for their favorite coffee, stop at the same farm stall for a pie and fresh pineapple juice or that certain restaurant where the owner is also the chef and makes his pizza bases himself before popping it into the wood fire oven. 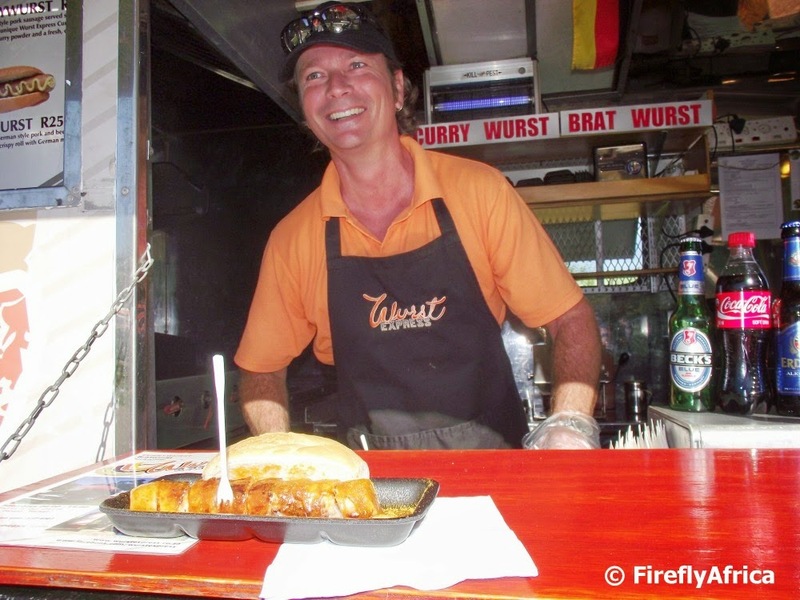 I don't travel on the Garden Route as often as I would like to, but my fav Garden Route food stop at the moment is Jan's Wurst Express (@WurstExpress) in Sedgefield. I really don't get to go to Cape Town anywhere close to as much as I would like to. When I do though I make sure I visit some attractions and touristy spots to soak in the Cape atmosphere. A short two night visit for World Travel Market African meant that I only got to take a quick drive down to Hout Bay for a meeting, walk the streets around the International Convention Centre at lunch time and pop into the V&A Waterfront for dinner. 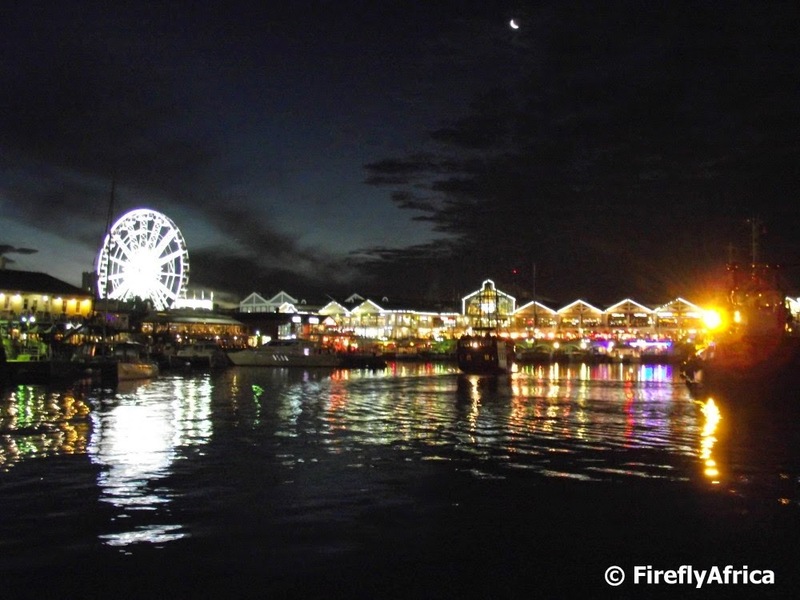 Just before dinner I strolled down to the Robben Island Ferry jetty to find a geocache and snapped this picture of the waterfront lights. The Cockscomb mountain is situated north of the Gamtoos Valley and visible from not just in the valley but also from the Baviaanskloof, Uitenhage and Addo areas. The reason its visible from all over is that it's the second highest mountain in the Eastern Cape. It gets its name from its resemblance to a rooster's comb. 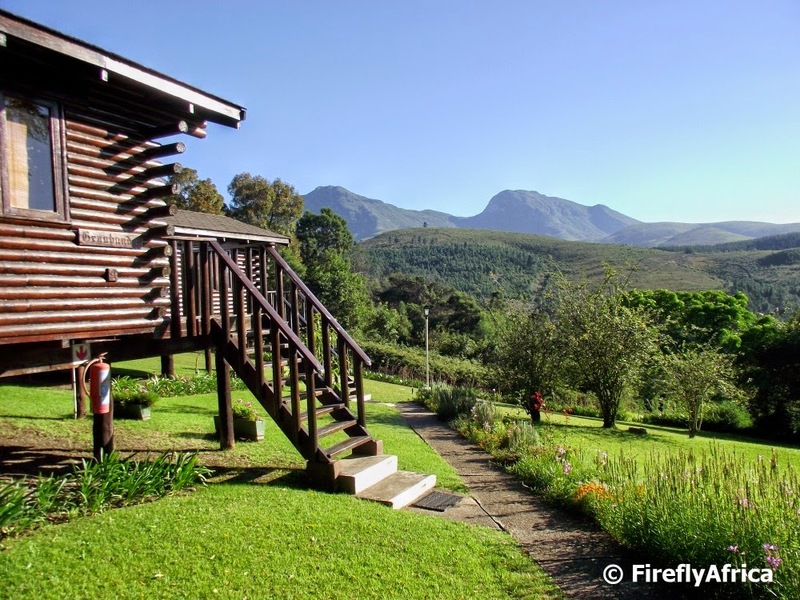 The Cockscomb is part of the Groot Winterhoek mountain range with the higest peak being 1 768 m above sea level. This picture was taken from Vergaderingskop (the burial place of Saartjie Baartman) outside Hankey. The majority of the female elephants in the Addo Elephant National Park are tuskless. The general opinion amongst laymen is that it's because of selective hunting of the elephants with big tusks in the late 19th and early 20th century while others think it may be due to the vegetation (structure and/or nutrient composition) of the area. Long term records have been used to assess trends and it has been found that although it could have played a roll, selective hunting solely cannot provide adequate explanations for the high frequency of tusklessness. 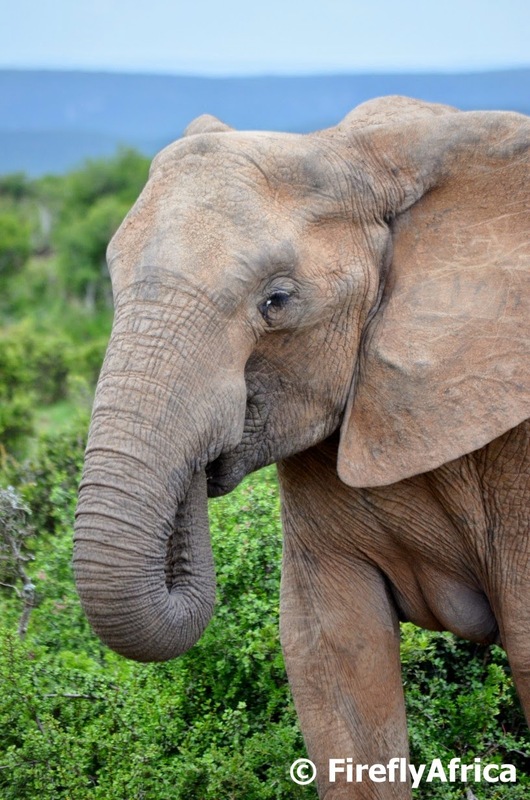 Non-selective genetic changes resulting from the population's isolation, small size and bottlenecks (during the 1800s and 1920s) are suggested to be primarily responsible for the ladies in Addo not having tusks. Most South Africans probably know what a smiley is, but if you ask any international visitor to the country they would probably say something you use in mobile messages and online comments. The difference between a township smiley and an online one is very different though. 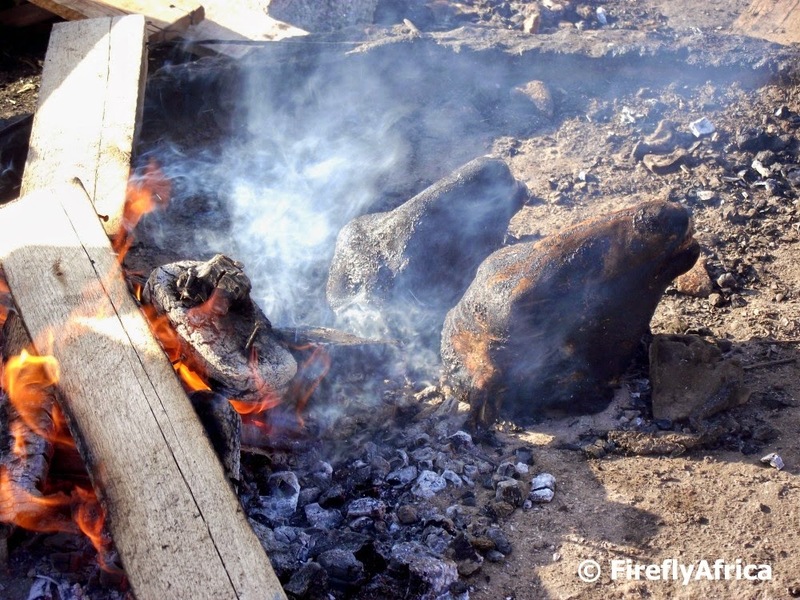 A township smiley is a cooked sheep's head, regarded as a local delicacy. The sheep heads are boiled in salty water, sometimes with a stock cube thrown in. Once they are cooked they get put in the fire to burn off all hears and excess skin. The cook would have a couple of irons in the fire and that will be used to burn off the remaining hairs and skin, as the lady is doing in the first photo. The reason the head is called a smiley is that the lips get burned off, exposing the teeth. This makes it look like the head is smiling at you. 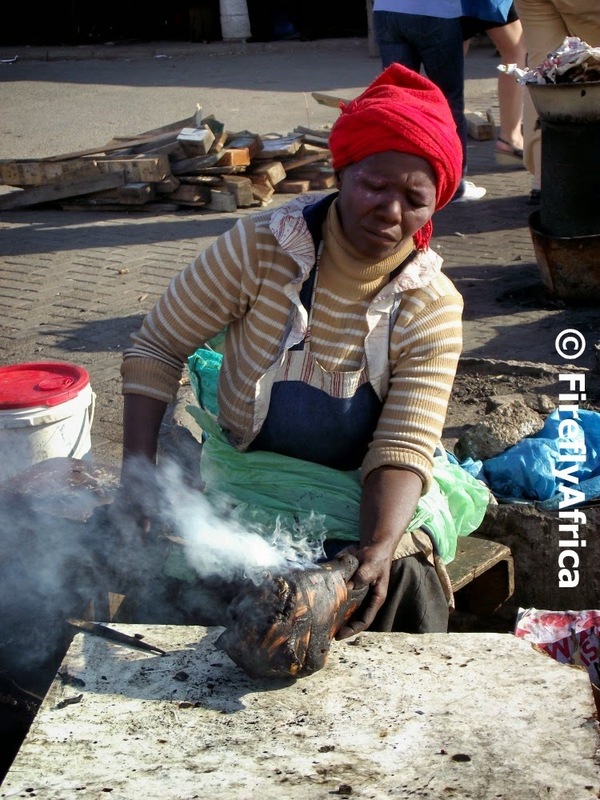 The head then gets cut in half and its these half heads that passers by then buy for lunch or dinner. I haven't been brave enough to try it yet. After a recent meeting in Cradock I decided to stop at the Slagtersnek Monument near Cookhouse for a few photos. While I was there I thought that it may be a good spot to place a Geocache and started looking around for a suitable hiding place. Walking towards the back of the enclosure around the memorial my eyes were everywhere but looking where I was going and the next moment I walked into the toughest and stickiest spiders web I have every walked into. Looking up this is what greeted me. A Common Garden Orb Web Spider. I had such a fright that I gave up my search for a place to hide the Geocache. I did keep my wits about me to still grab my camera and snap a couple of photos though. 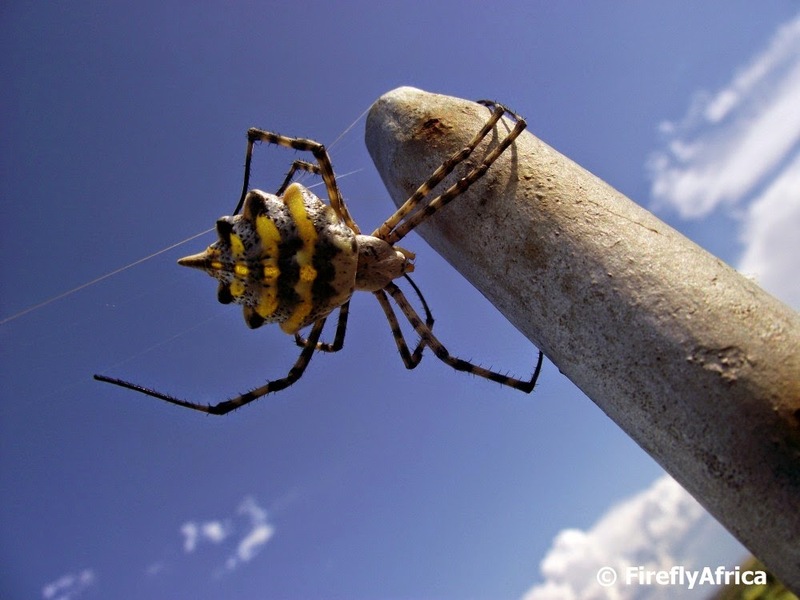 The Common Garden Orb Web Spider (Argiope australis) is different from the Black Legged Golden Orb Web Spider I have encountered before with the female having distinct yellow and grey stripes on the abdomen and banded legs. 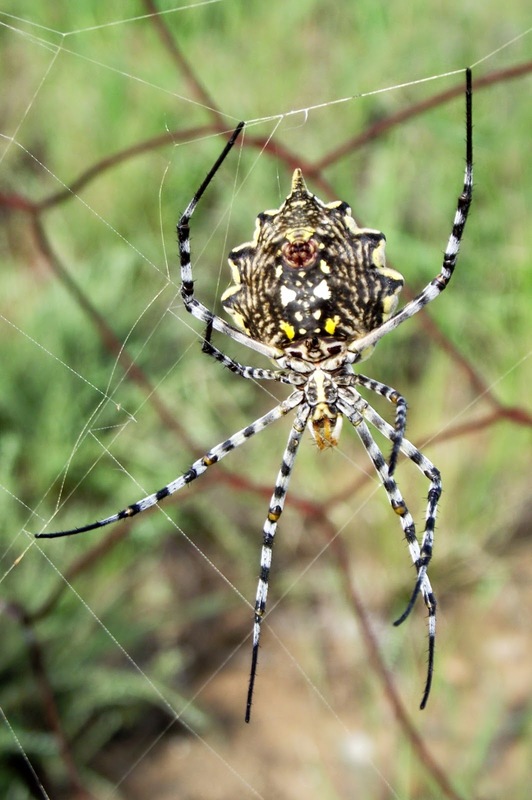 They are normally found in fynbos and long grass (like I encountered it on this visit) and their webs are usually built within one meter of the ground. The web occupies the aerial passage amongst vegetation in the path of flying insects with the spider sitting on the web waiting for prey to get trapped. The good news is that they are not poisonous and thus harmless to man. Still a case of "gogga maak vir baba (or in this case pappa) bang"
The western point of Mossel Bay is named Cape St Blaze and long before the first Europeans arrived in South Africa this area was home to the Khoi people. 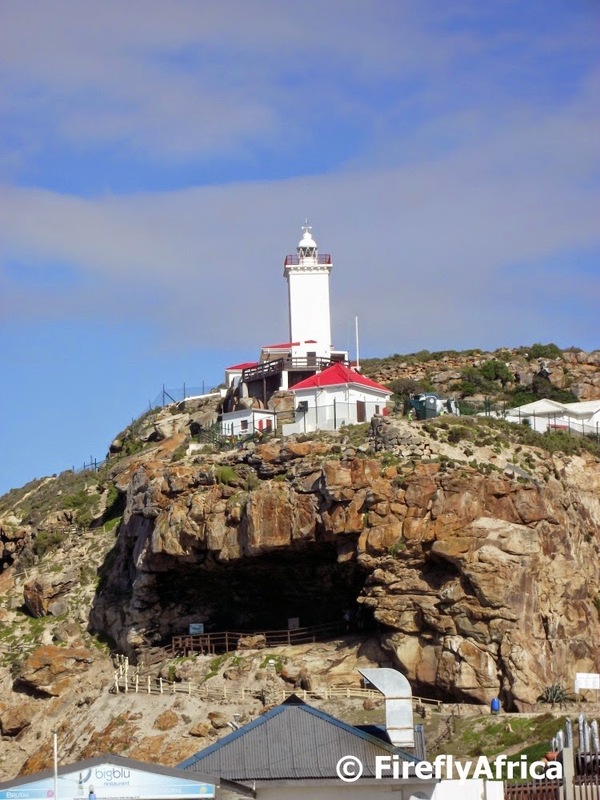 The Khoi found shelter in the caves along this coastline, one which can be found directly below the lighthouse where archaeological digs have found that the early inhabitants lived on the abundance of shellfish available from the rocks below. 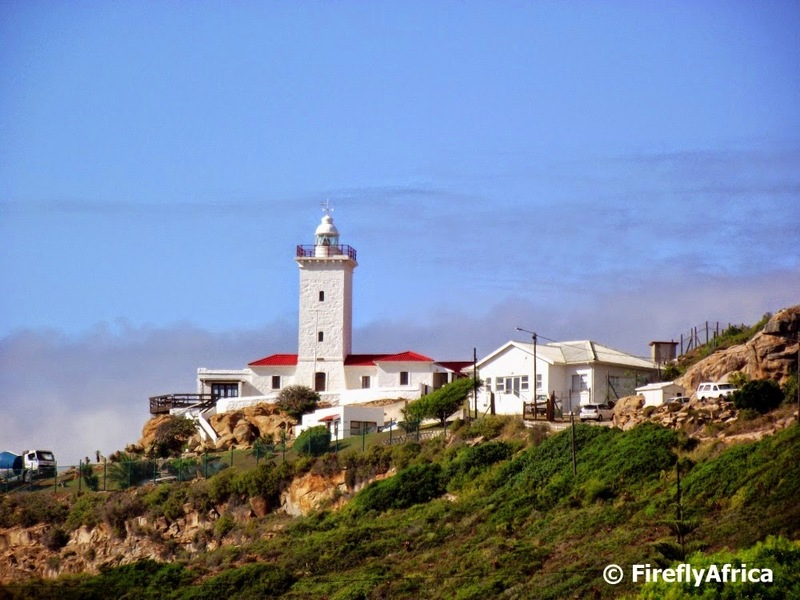 The Cape St Blaze Lighthouse was erected in 1864 and up until recently was one of the last South African lighthouses that was manned 24 hours a day. Until the late 1970's the lighthouse worked on a clockwork system to turn the lens and a lighthouse keeper had to climb up the tower every three hours to wind it up. These days all the navigational aids and joining plant are fully automated although a senior and two additional light keepers are still employed. Constant radio watch is kept and regular meteorological duties undertaken. "Hey bro, my wings are bigger than yours"
Route 67 on the Donkin Reserve in Port Elizabeth has some really interesting art pieces ranging from real taxi's mounted on a wall to the 470 square meter Piazza Mosaic next to the Pyramid. Then there's also the Voting Line with Madiba's figure at the front standing under the tallest flag pole in South Africa sporting a 10 m x 15 m South African flag. 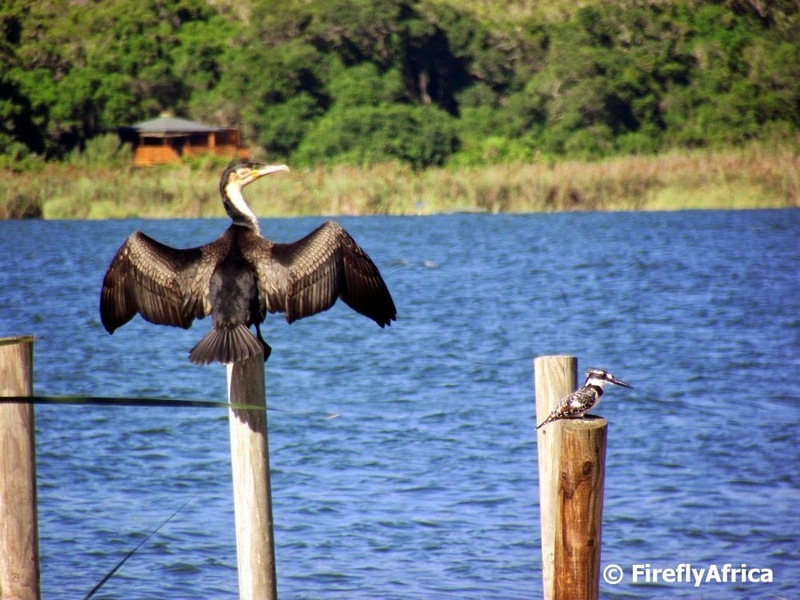 Looking across the reserve towards Algoa Bay stands a lone female figure on a pedestal. (Shouldn't men put all women on pedestals?) On closer inspection it becomes clear that the figure has no distinct features and that is the way artist Anton Momberg intended it. The sculpture was left untitled by the artist so that it could become a conversation piece rather than a conceptually specific entity. This means that she could actually represent all women in Nelson Mandela Bay. 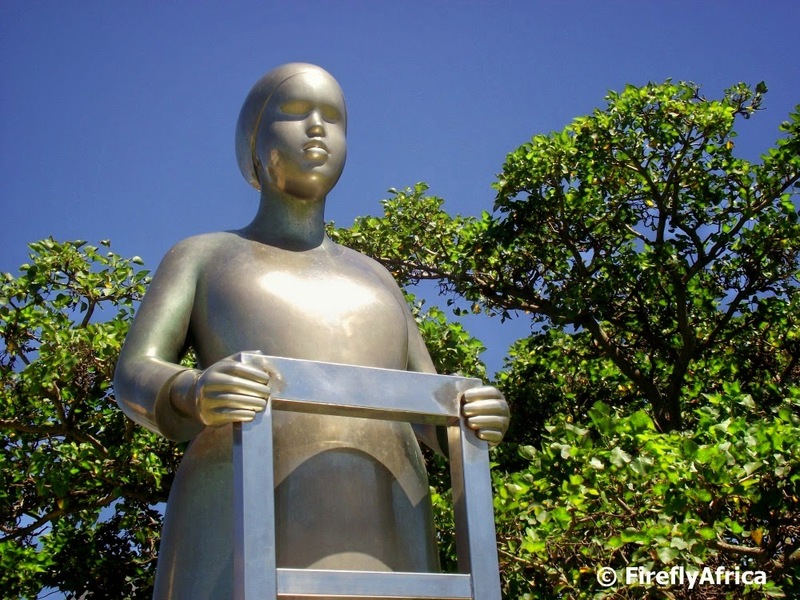 KhoiSan and Xhosa women from the time when Dias first discovered Algoa Bay, the British Settler women who arrived in 1820 or the high powered modern business women and the humble domestic worker of today. Black, White, Coloured, Indian, Asian, no matter who. The art piece has become popular spot for photos with visitors sitting on the chair to have their picture snapped. On my way to Cape Town recently I decided to grab a couple of Geocaches, one of them a cache called Back Stab Bridge just west of Knysna. The cache was situated close to the turnoff to Buffels Bay next to the old road and took me to this beautiful spot. And that is where the caching reference to this post stop. While cars were flying by on the N2, I could stand on the old bridge and enjoy the beauty of the area while snapping a couple of pictures. 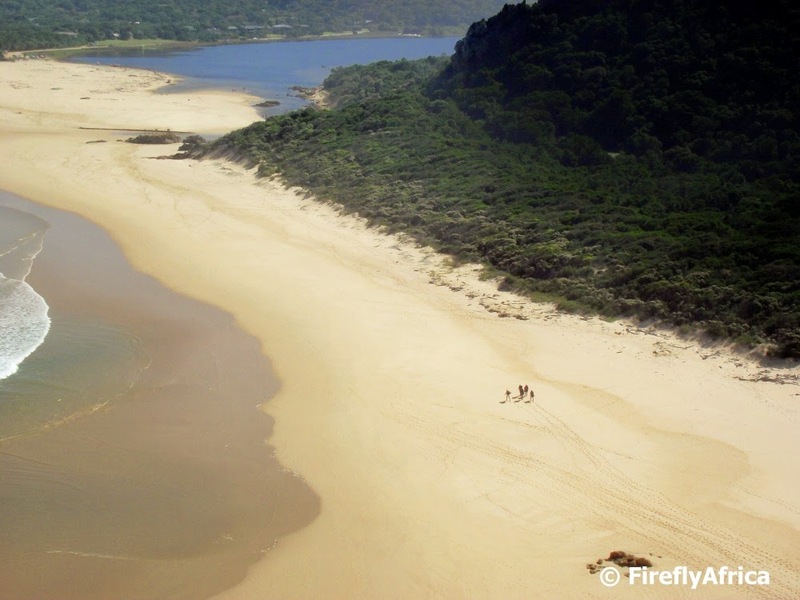 The Goukamma River flows past this spot down to its mouth at Buffels Bay. 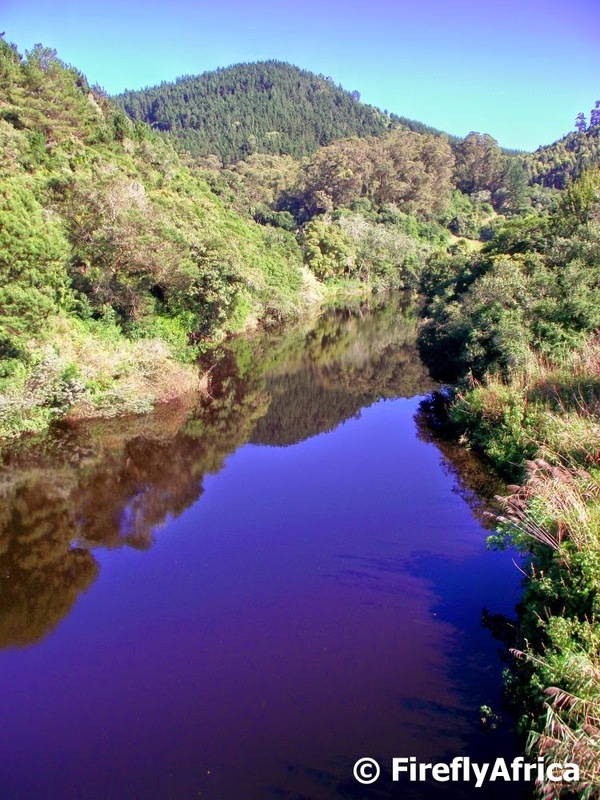 Goukamma is a named from the Khoisan word for “dark waters”. 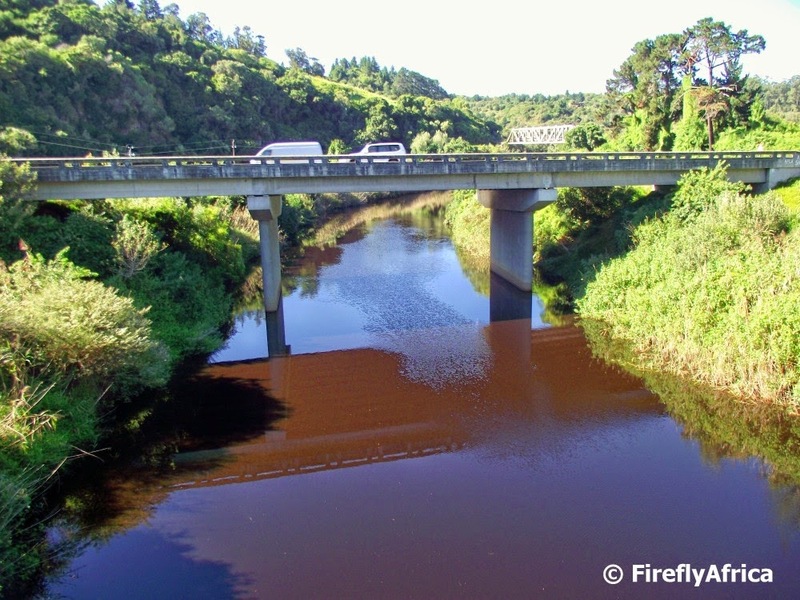 The dark color of the river water originates from tannin picked up in the forest through which the water passes. The river is ideal to paddle on while getting in touch with nature and on a warm late summers morning looked very inviting. Unfortunately the long road to Cape Town (along with a couple more Geocaches) were calling. Olive Schreiner (24 March 1855 – 11 December 1920) was a world renown South African writer and is best remembered for her novel The Story of an African Farm which has been highly acclaimed ever since its first publication in 1883. She was born in Wittebergen and grew up Healdtown from the age of six. Between 1868 and 1870 she lived in Cradock with her brother who was the headmaster of the local school and two other siblings. Although Schreiner only lived in Cradock for three years, she was reburied (she was originally buried in Kimberley) outside the town on Buffelskop mountain. The house she lived in with her siblings has been converted into Schreiner House, a museum mainly dedicated to Olive Schreiner. The museum houses her personal library, exhibitions depicting her life and copies of all her books. It also houses a small bookstore selling a wide variety of books. Unfortunately I swung through town on a Sunday afternoon which meant the museum wasn't open, but I'll make a plan next time I'm in town. 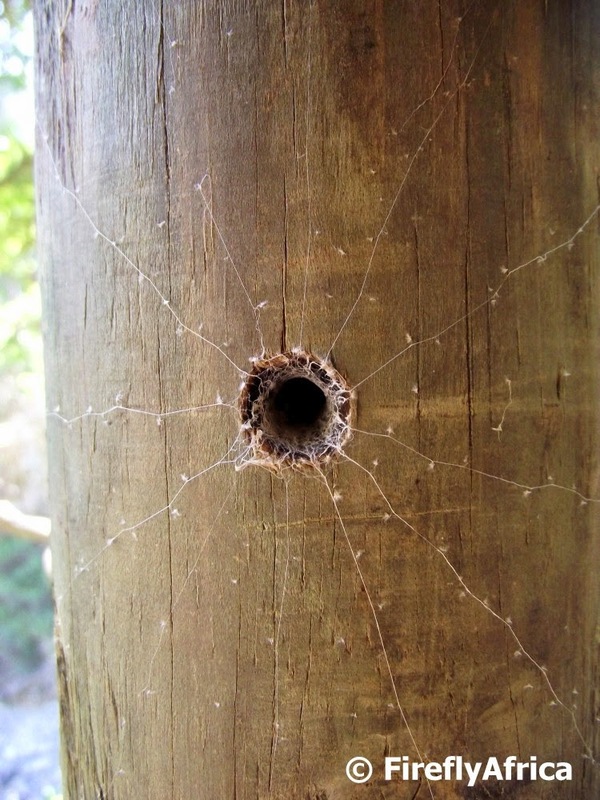 Some little web critter living in a hole has decided to decorate the outside of his home. The pattern intrigued me as it takes the shape of a normal spiders web yet is flat on the pole with no linking strains. Interesting indeed. Found this while climbing up to The Point in Natures Valley. 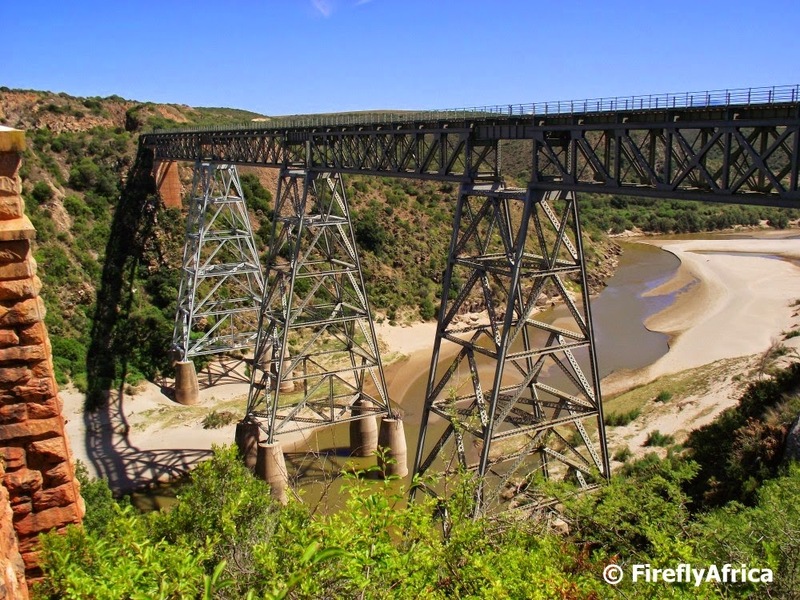 Gouritz Bridge became the first bungee jumping site in South Africa and operated bungee jumps and bridge swings before people were throwing themselves off the 214m Bloukrans Bridge bungee site further down the Garden Route. 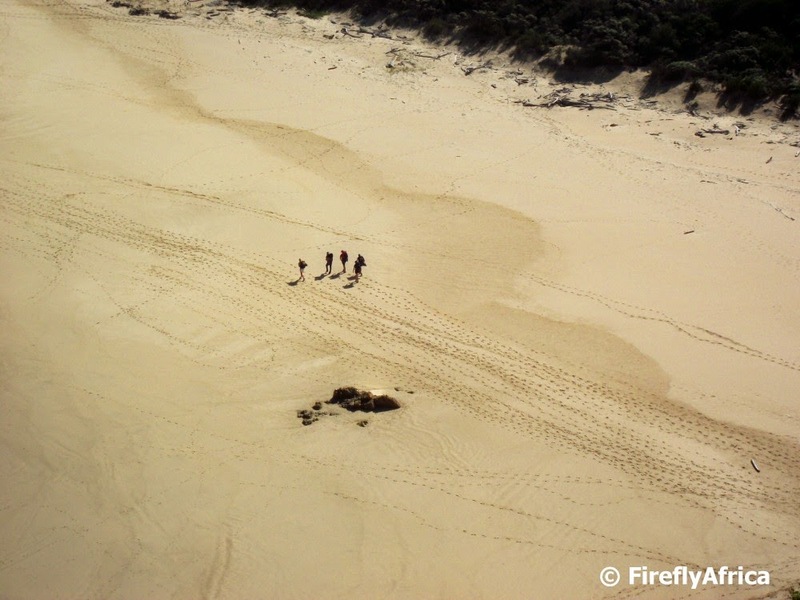 I used to stop at the bridge on my Garden Route tours and with more than one company offering jumps it was always a busy spot. After offering this thrill activity for 18 years, operations seized in 2008 after it was found that the parts of the old steel bridge was badly rusted and may possibly be unsafe. I stopped there on my way to Cape Town and it felt like I entered a ghost town. The booking offices and bungee platforms are all still in place, slightly over grown but without a soul in sight. Sad really. I snapped this picture of the old railway bridge from the old road bridge with the new bridge over which the N2 runs behind me. 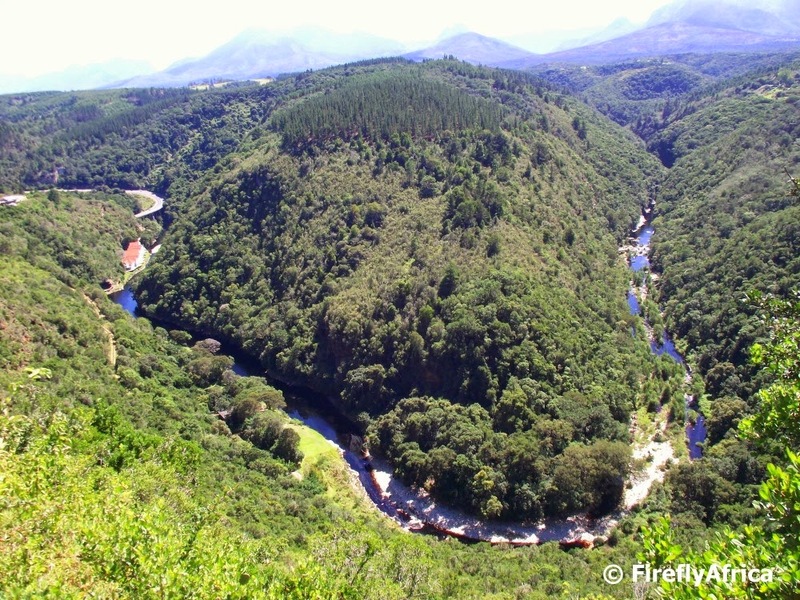 One of the most extraordinary scenic view points on the Garden Route must be the one above Wilderness of the Kaaimans River flowing below. As the river makes it's way through the valley towards the sea it forms the outline of the map of Africa. In the photo part of the Kaaimans Pass can be seen on the left hand side. Getting to the lookout is fairly easy. Just follow the road through the town and up the steep hill to the top. There are signage up and a tourism volunteer manning the lookout for anybody who has questions. Otherwise just stop at the tourism information office as you come into town for directions. The Otter Trail is probably South Africa's premier hiking trail covering 5 days and 42 kilometers between the Tsitsikamma National Park at Storms River and Nature's Valley. On the last day when hikers reach The Point, the end of the trail is in sight but not before descending down to Nature's Valley beach and then walking the length of it to the Nature's Valley Restaurant and Trading Store to kick off their shoes and have a welcome cold one. During our Sho't Left weekend in the Crags and Nature's Valley we climbed to the top of The Point and watched as a group of hikers came past on the trail. About 15 minutes later they were walking along the beach towards that mentioned cold drink. Later the afternoon we popped by the Nature's Valley Trading Store and this is what we found. 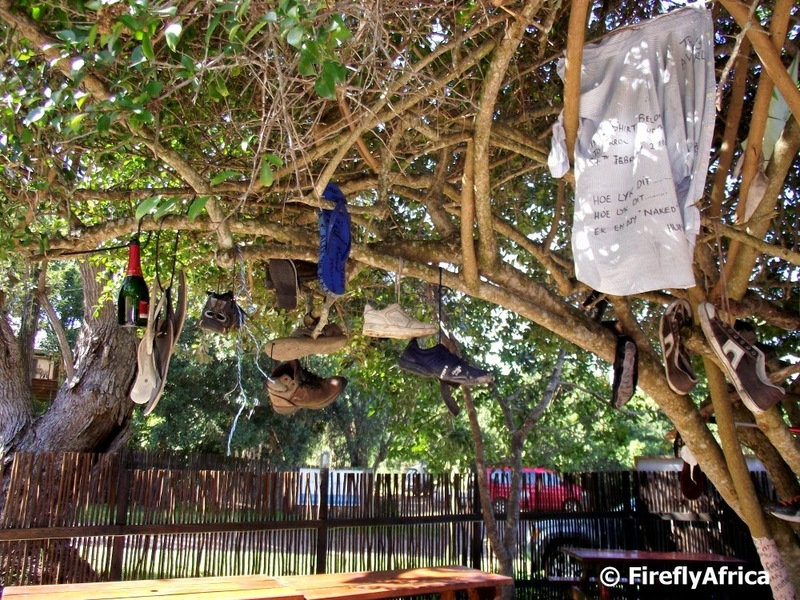 A tree in the restaurant's outside area filled with discarded shoes (and a couple of other items) that was well and truly tired after the long walk, left as a "memorial" of those who have competed this epic trail. We would rather do weekends away and expose the KidZ to nature, the outdoors and as many other things as possible rather than spending all that money on Dstv every month. 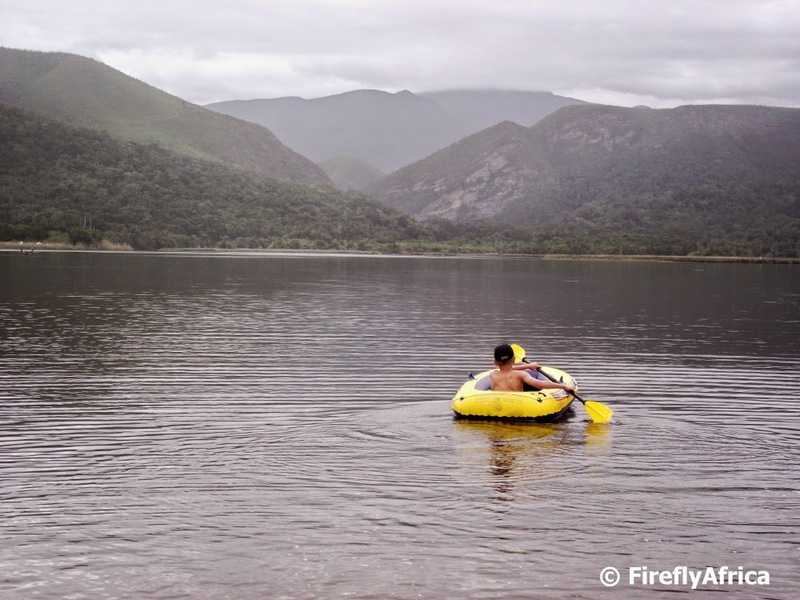 Seeing Chaos Boy paddling on the Groot River Lagoon at Natures Valley in his blow-up boat really put a smile on my face. Mission accomplished for today. What's next?